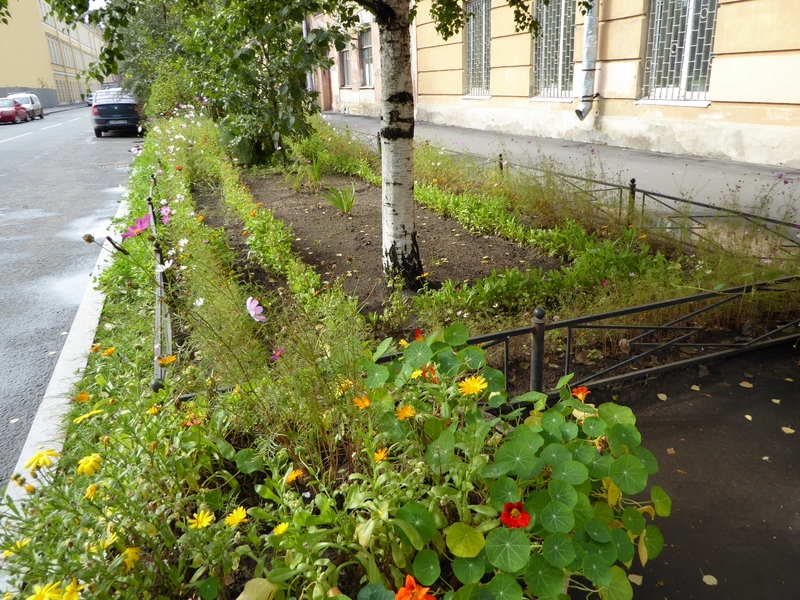 In this boulevard garden in St. Petersburg, Russia nasturtiums, cosmos, calendula and a few asters were still blooming in mid-September. The garden is fenced with black metal fencing and the nasturtiums are in a concrete planter in front of the garden. There is a birch tree in the middle of the garden. St. Petersburg is located at 59°56′19″ N. and averages 135 frost free days annually.